Hemp has had many uses over thousands of years, not the least of which has been in textiles. Most familiar are the industrial applications of these textiles. But did you know that hemp fabrics make great clothing? For a period, hemp declined as a textile in part because of its erroneous association with the psychoactive properties of marijuana and being criminalized along with its sister plant. In addition, the coarseness of hemp’s fibers limited its use in apparel. Traditional methods to soften vegetable fibers like cotton and flax, used acids, which left hemp fibers weak and unstable. In the mid-1980s, an enzymatic process was developed that softens hemp without compromising its strength, allowing it to be spun into fabrics for apparel. Hemp is one of the strongest and most durable of natural fibers, with three times the tensile strength of cotton. Garments made from hemp will often outlast those made from other natural fabrics. Hemp holds its shape and stretches less than other fibers yet it is lightweight and comfortable, softening with wear. It is resistant to mold, bacteria and ultraviolet light. In fact, tests of hemp fabrics have been shown to provide up to 50 UPF or more! The porous nature of the fiber allows hemp both to breathe and trap air, making it cool and pleasant to wear in warm weather yet insulating in cooler weather. This porosity also allows hemp to accept dye and retain color better than other fabrics, including cotton. Hemp offers several variations of color naturally, depending on how fibers are removed from the plant. Hemp clothing is also 100% biodegradable. Easy to care for, hemp clothing can be washed in warm or cold water. It can dry flat or be line or machine dried on low. 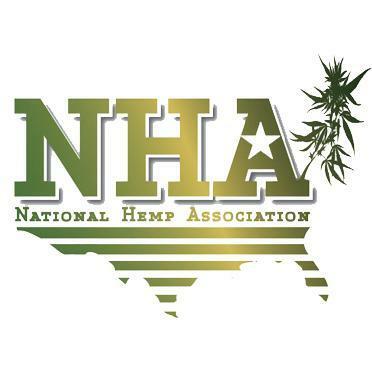 Hemp should not be wrung when wet to avoid breakage of fibers. Ironing is optional, but hemp can withstand high heat. It is best ironed damp and on the back side of the fabric. However, ironing light-colored garments on the front side will bring out hemp’s natural luster. Hemp is more sustainable, eco-friendly and cost effective than most other crops that are used for clothing. It is fast growing with seed to harvest occurring in as little as 120 days. On equal plots of land, hemp fiber can be cultivated up to 250% more than cotton and 600% more than flax. About 1,400 gallons of water is required to produce one pound of cotton; hemp needs only about half that amount. Hemp requires no pesticides or herbicides and little fertilizer. In comparison, 25 to 50% of the world’s pesticides are used on cotton—and pesticide residue remains in the fabric. Hemp returns nutrients to the soil rather than depleting it. Its long roots help anchor top soil and prevent erosion. Cotton grows well only in moderate climates while hemp can be cultivated in a variety of conditions, so adaptable that it theoretically could be grown in all 50 U.S. states, were it legal to do so. Of course, synthetic fabrics like polyester, which deplete non-renewable supplies of fossil fuel, never biodegrade and have low breathability, can’t begin to compete with hemp environmentally or in terms of comfort. The possibilities for hemp’s use in clothing and accessories are immense. It is highly versatile on its own but can also be blended with other fibers like cotton, linen, flax, silk and even polyester to yield many unique textures and aesthetic qualities. From casual wear to haute couture, hemp can be found in jeans, pants, shirts, jackets, dresses, outerwear, socks, hats, handbags and even shoes. Hemp is expected to eventually surpass cotton, linen and polyester as a fabric. With such versatility, sustainability and cost effective cultivation, hemp is poised to be the fabric of the future.